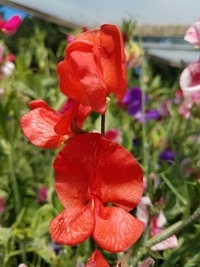 Annual and perennial Mediterranean species that make excellent long-lasting cut flowers. 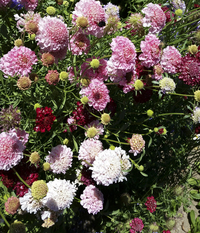 Transplant for early flowers at 12” apart, can be direct sown after frost for continuous harvest. 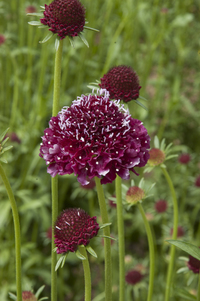 Our Scabiosa atropurpurea seed has been cleaned bare of its “dress” for higher germination and easier handling. 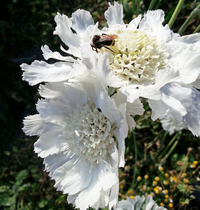 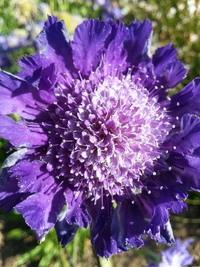 Scabiosa caucasica seed is in its raw form.